The SS South American was built in 1914 (Georgian Bay Transit Co.), and carried excursion passengers throughout the western Great Lakes, along with her sister ship, North American. Only the South American visited Lake Superior, and made Houghton/Hancock a regular 3 hour port stop every Tuesday afternoon. She carried over 450 passengers. The last stop was Tuesday, August 30, 1966. 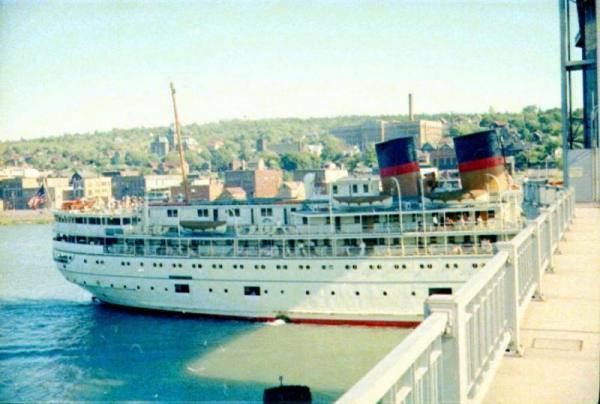 The South American was decommissioned in 1967, due to a change in U.S. Coast Guard regulations barring wood superstructure passenger ships from the Great Lakes. 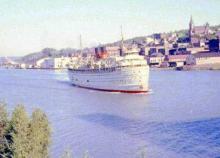 This would be be the final trip, after 52 years of passenger cruises. Tuesday afternoons in the summer would never be the same. Two years later...passenger train service would also end in the Copper Country (Copper Country Limited..Milwaukee Road...March 7th., 1968). South American passes through the Portage Lake Lift Bridge, August 30, 1966. 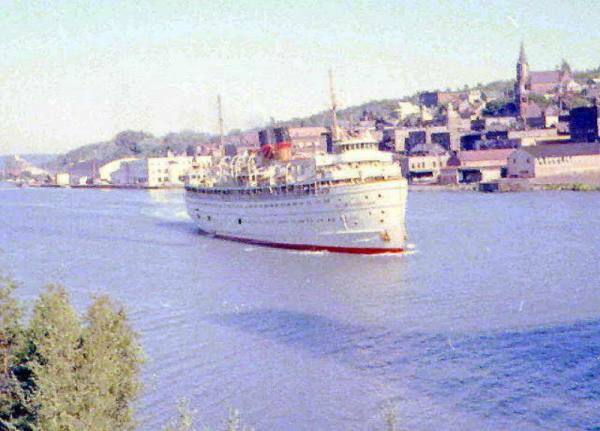 South American leaves Houghton dock (Cohodus-Paoli) in August 30, 1966.